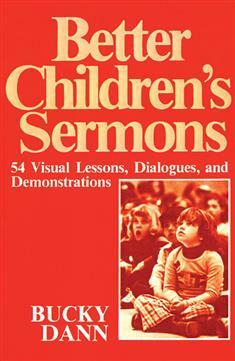 The author of the popular resource, Creating Children's Sermons, continues his efforts to communicate the message of faith to the youngest members of the church. Believing that adult faith--or lack of faith--is directly linked to childhood experiences, Bucky Dann discusses the importance of reaching children with the word of God, and including them in the church's worship and sacraments. The lessons in this book are organized around fourteen themes that profoundly affect all human beings.